When you live in a home with three women, no day is complete until something a little sweet is served. It doesn’t have to be a fancy treat – like a slice of roulade or carrot cake. It just has to be satisfying. 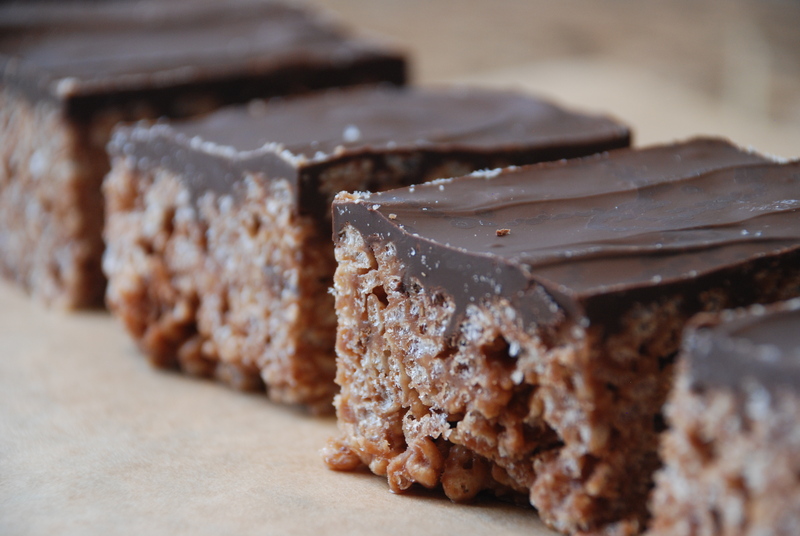 I love the ease with which today’s recipe, Mars Bars Biscuits, can be made. Four ingredients, one pot on the hob (stove), and a tin for pressing these absolutely delicious bars into…that’s all it takes. There’s no baking and no fuss. In fact, this recipe is so simple, it’s ideal for making with children. Technically these could be classified as an Irish tray bake. Interestingly, I’ve learned the term “tray bake” is more often used in Northern Ireland than in the Republic (the rest of Ireland). Biscuits, bars, tray bake…whatever you call them…they’ve been made famous in my neck of the woods by the very fashionable style emporium that is known as Avoca Handweavers. Any time I come home from Avoca my girls greet me at the door with “Did you bring home Rice Krispie treats?”. These may seem a lot like Rice Krispie Squares, made with marshmallows, or Rice Krispie buns, made with chocolate, but they are entirely different. 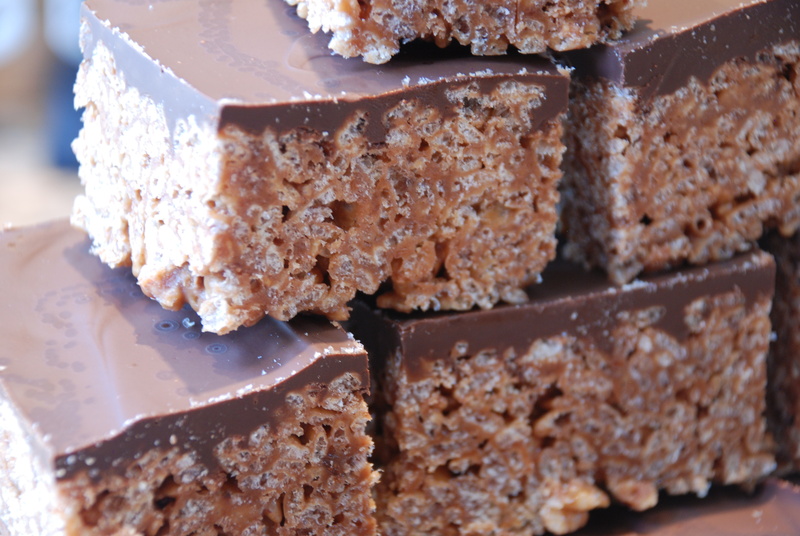 The Mars Bars (or Milky Way bars, if you live in America) give this treat the perfect chewiness and crunch that the other two lack. Assuming you like chocolate, I have no doubt you will enjoy these. 1. Line a 9″x 13″ or a 30cm x 20cm baking tin with parchment paper. 2. Cut the Mars Bars and butter into small pieces and place in a saucepan. Put over low heat and stir with a small balloon whisk until melted and well mixed. 3. Add the Mars Bars and butter mixture to the Rice Krispie cereal in a large bowl. Stir until ingredients are combined. 4. Spoon into the lined baking tin and press mixture with the back of the spoon to firm up shape. 5. Melt good quality chocolate over a saucepan of simmering water. Pour over the rice cereal, spread evenly with a palate knife, and allow to set. 6. When chocolate has set, and rice cereal has cooled, lift the content of the tin to a cutting board and slice into squares. For readers in Canada, they are Mars Bars here too. These are just as I remember from my childhood – thanks for bringing back a memory!